We have recently been approached for advice on the cleaning and restoration of safety flooring services. A number of commercial business premises and contract cleaners are struggling to keep their floors’ appearance looking good. It has been found that despite the use of commercial grade cleaning products and equipment, the processes being used are not cutting through the soils and replacement of the flooring looks like the only option which is expensive. On inspection done by a Carpet Care expert, it had been found and confirmed that this type of flooring is simple to restore back to a good finish, however, this had been met with some disbelief by potential customers. After further investigation, it would appear that despite repeated attempts by in-house staff and contract cleaners to restore the flooring the results have been poor, even though they have been using some very strong and corrosive cleaning products. Because potential customers are wary and have a tendency to disbelieve that carpet care’s processes can indeed restore safety flooring, We like to carry out a small demonstration on a test area to show what we can achieve with our simple non-toxic agents and safe processes. We should always leave a smile on client’s face through a demonstration – we can tell the advantages and show how that they can save the flooring, removing the cost of replacement and the associated downtime from needing to relocate staff and furniture while the flooring is being replaced. We are a firm believer that strong business relationships gain more customer loyalty, repeat business and in turn, further recommendations etc, so in-house aftercare advice and top tips are always given to our customers to keep the flooring looking better for longer. 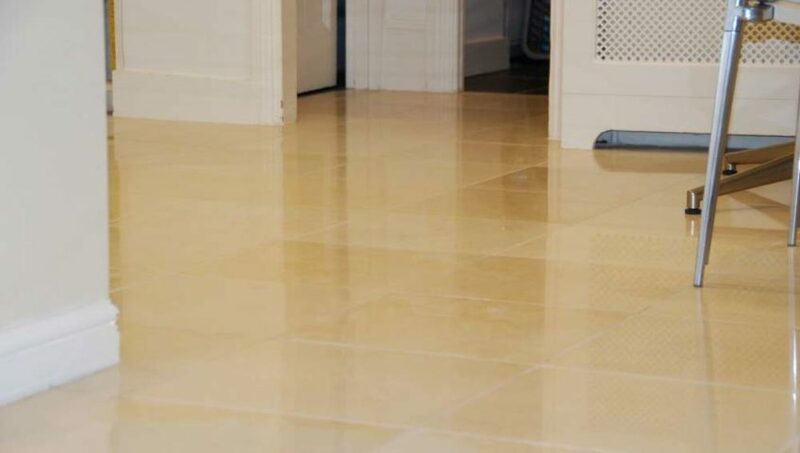 The cost of our deep cleaning process is a fraction of the cost of flooring replacement and it is proven that after all other attempts have failed, our costs normally work out to be less expensive while achieving the correct results. If you would like advice or help in bringing your safety flooring back to life, please get in touch to arrange a free appointment. 10 Bad Cleaning Mistakes You Need to Break! Everyone is guilty of making cleaning mistakes. Some of these mistakes may seem simple or even silly, but they not only add hours to our cleaning time, but they also render our cleaning effort lacking and ineffective. 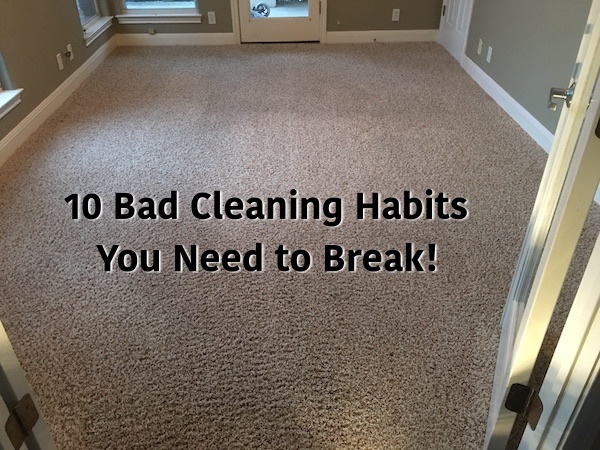 It’s important to learn from our mistakes that is why I will present to you some common bad cleaning habits that you should break. Going straight to harsh products. The lazy inner voice in us will fool us into thinking that harsher cleaning products will cut our cleaning time dramatically so we obey. The thing is that most cleaning scenarios can be addressed using natural DIY cleaning solutions that are safe. Or go with milder products that are environmentally friendly. Too much cleaning product is a common mistake. Imagine having to wash a load of clothes and you put in too much detergent, so you need to wash the clothes more not only to remove the dirt but also the excess detergent. Not reading the label on the products we use is a surefire way to make a cleaning fail. The manufacturers will have recommendations on how to use the product, how much you need, and where it should be used. So, if it says a cup of detergent for a load of clothes, don’t be an over smart and just follow the instructions. Do the same with cleaning tools, follow the manufacturer’s instructions to prevent electrocution, injury or worse. This seems like a no-brainer that we have all been guilty of. It is just logical not to wipe a stove top with an already soiled cloth, right? This practice will not only be ineffective, but you also risk cross-contamination by spreading germs and bacteria. Clean your tools after using to rid it of dirt, germs, and bacteria and ready for the next cleaning job. Let’s face it, bleach has been a household staple long before many of us were born. But advancements in technology has branded bleach as not very effective at cleaning. Add the harsh chemicals in bleach that can cause damage to the house and you have a very good argument to skip bleach on your next spring cleaning. Look to the internet for natural cleaning solutions that you can make on your own. You save money while saving the environment. The bathroom is the most unpleasant area of your home for cleaning. Save yourself from additional agony by closing the shower curtains after a bath. When shower curtains are open, water and moisture get trapped in the folds and over time, will develop mold and mildew, which can then spread in the bathroom. If you have a non-slip shower mat, hang it on to dry. Mentally, it’s tougher to wash a huge pile of dishes, but it can also prove to be more difficult physically. Hand washes dishes as soon as you can and avoid the pileup. A few seconds here and there is a lot easier than a stack of messy dishes. Before you even begin to clean, take out the tools and products you need and put them somewhere close as you clean. This will save you time and energy from running back and forth the storage just to get the things you need one at a time. Raise your hand, I know you’re guilty of this also. Whether it be old souvenirs from a wedding you attended years ago or old issues of magazines you have lying around, these things can add up quickly and take up considerable space in our homes. You can start with the fridge and dispose of expired food items, old cooking utensils from your kitchen to heavily outdated clothes in the wardrobe. Go through the entire house and be firm in disposing items you don’t use or have any need of anymore. Paper towels are very handy in the kitchen, but using too much becomes ridiculous as it adds quite a chunk of your household budget. So, if you have old white shirts you don’t use anymore, repurpose them and cut them into tiny towels which you can reuse over and over again. Not only do you save money but you’ll also be more environmentally friendly. These are just some common bad cleaning habits we’ve committed at least once in our lives. Let’s just learn from our mistakes so we can clean the house more efficiently. The carpet is the accessory in our home, which we can’t do without, but not because it is compulsory to have it. If you think, you will realize that a carpet creates a vision of the room as a cozy and warm home. Without it, it is somehow empty, naked. No, we shouldn’t go without it, but we should pay it more attention and give it more thorough care. Do you clean it thoroughly? Are you able to clean the carpets yourself and deal with the carpet stain removal? And with disinfection? AllPro Carpet Cleaning offers a few do it yourself carpet cleaning tips that will greatly ease your life. When you buy a carpet you need to consider many things. Would it be from natural or synthetic materials? What would be the shape and dimensions, the colors? Once laid on the ground, the carpet becomes an integral part of the interior. You get used to it quickly and soon cease to notice it. Care to floor mats consist only regular cleaning with a vacuum cleaner and that is all. Do It Yourself Carpet Cleaning Without Machines – Is It Possible? Even we are very careful and there are no spots on our carpet, its main carpet cleaning is required at least 3-4 times a year. The vacuum cleaner fails to remove all the layered dirt in the mat, and it is unable to clear the fabric in depth. Therefore, it is necessary to be a little wet. One option is to use a sponge to spread and rub on the carpet with a soapy solution. We can easily make a Do It Yourself Carpet cleaning product if we fuse soap in a water bath and add the solution to hot water or if we grate the soap – the purpose of both methods is easier dissolve of the detergent. It should be noted that the liquid soap must be thick in order not to need rinsing and drying. In this method, it’s not necessary very hard rubbing in. The soap will do the basic work. In the case of greater pollution and for better results, you can add a little turpentine to the DIY carpet cleaning detergent. If your mat is colorful, with lots of patterns, a clean soapy solution is enhanced with denatured or ethyl alcohol – the colors will be as vivid, as when the carpet was new. How to wash carpet at home by hand? While we’re on “wet” cleaning methods, let us mention a great way to get rid of stains. The first step is to soak the carpet in an aqueous solution of ammonia. The amount is determined according to the size of the carpet, but it must be followed proportion to 1 liter of water add 1 tablespoon of ammonia. Once the floor mat was soaked for at least 30 minutes, proceed to the main part – rub with detergent or soapy water. In this procedure avoid hard brushes as they may seriously impair the integrity of carpet by pulling individual fibers. Finally make several rinses thoroughly, and add a little vinegar to the last water. Vinegar will do wonders for the carpet if it’s diluted with water in 1: 1 ratio and strengthen it with baking soda. Apply with a soft brush gently mixing throughout the area and concerns about cleaning disappear along with pesky dirt. To be completely honest, it should be noted that no matter how effective the methods described so far are, they are unsuited for treatment of woolen carpets. It’s not recommended even cleaning with a damp cloth. As a consequence, even the smallest moisture will make woolen fibers stick and they won’t be so fluffy. The main part also suffers damage because it will rot. As a result, despite our best intentions, fibers will gradually tear, the carpet will have visibly progressive thinning and lose its charm. Let’s face it – we often skip the moment with the basic cleaning of the carpet, because we don’t deal with all those wet stories. Still we procrastinate and procrastinate until the moment the washing is essential, but, unfortunately, it will no longer guarantee good results. Relax, there is an option, which can keep the carpet clean. And no, it is not difficult nor requires any special equipment or products. How to Clean Carpet with Baking Soda? You might be amazed, but everything you need is baking soda. It has been proven it is the mildest and neutral abrasive and sanitizes all kinds of surfaces without scratching them and violating their integrity. In its use even the least rubbing is unnecessary and it doesn’t lead to any exercise. For this cleaning miracle to happen, simply sprinkle soda evenly over the entire surface of the carpet. Allow to stay on for a minimum of twelve hours (maybe more if you have the patience) and carefully clean it with a vacuum cleaner. Something so simple to do probably seems unreal. There is no way to be sure before you try and when you try – you’ll wonder why you haven’t tried before. We will give you even a bonus advice to this wonderful method of cleaning your carpets. If you want to get rid of the soaked odor in the fibers, you can cautiously sprinkle the textile with your favorite essential oils. We advise not to overdo the number of natural scents because they are too strong. You may also get a result opposite to the desired one. Instead gently allusive fragrance the entire room can be filled with obsessive and suffocating odor. DIY or A Professional Carpet Cleaning Company? The quality of cleaning the carpet is an important task. Undeniable fact that it is not an easy task. You need to arm yourself with patience and diligence. You’ll need a few free hours only for sanitation initiative. And when you think about it all at once you might need to prepare yourself mentally. Well, of course, we are joking about the last one. Our goal is to remind you that you can save your worries by consulting our carpet cleaning professionals. Why Hire Professional Upholstery Cleaner Rather Than DIY? How Often Your Office Needs Commercial Carpet Cleaning? home pressure washing services on Are Power Washing and Pressure Washing Same? Our fully trained technicians will ensure all manufacture warranty requirements are met. We pay close attention to any spots, stains, odors, and heavy traffic areas that may need additional attention. Our highly advanced truck mounted systems will remove tough ground in stains and have your carpet looking and smelling like new. For more information on our residential services call today.